It has already been close to 2 months since returning from East Java and Bali (read about hiking Mount Bromo without a tour HERE) and while we were in Bali, we were lucky enough to be hosted at Montigo Resorts, Seminyak for 2 nights! Pretty sure Montigo Resorts needs no further introduction to Singaporeans. Everyone (or almost) has heard of the beautiful villas of Montigo Resorts, Nongsa – Batam. 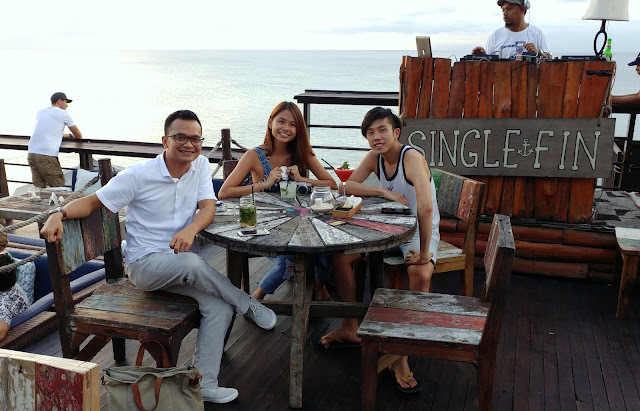 But when I told friends I was at the Seminyak, Bali one, they were all like "there's a Montigo Resorts there??!!!" Answer is, Yes there is!!! We had 4 nights in Bali and prior to our stay at Seminyak, we were at Ubud and Montigo very nicely arranged a driver to pick us up from our accommodation at Ubud on a rainy afternoon! 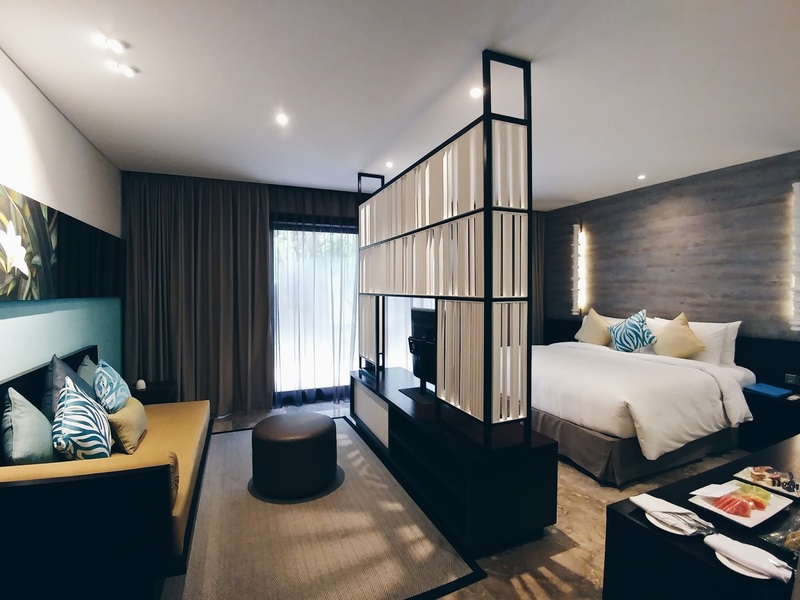 The main colour theme for the entire resort was White and Blue, exuding a very relaxed, cool and fresh outlook both on the interior and exterior of the building. It was tough resisting getting into the pool. Just look at how blue it is and those bean bags! It was truly a pity though, that it rained for the 2 days that we were there so we couldn't enjoy the pool facilities. 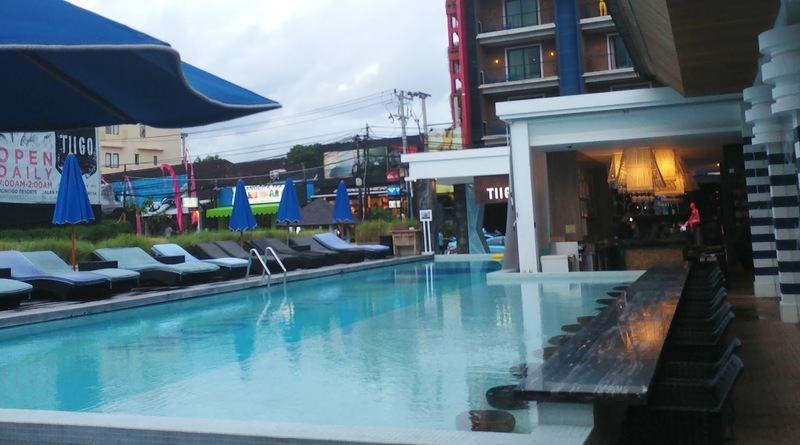 And this isn't the only pool that is going to be available at Montigo Resorts, Seminyak! They're currently building a second swimming pool which is expected to be complete by first quarter next year, alongside the Montigo Spa, OLO Kid’s Club, Montigo Cabin (Retail Shop) and Gym Center. Even before I could get myself orientated to the space and surrounding of right where I was standing in the lobby, their warm and welcoming staff have already served us welcome drinks, showed us around TIIGO, their restaurant and we were already at the check in reception! 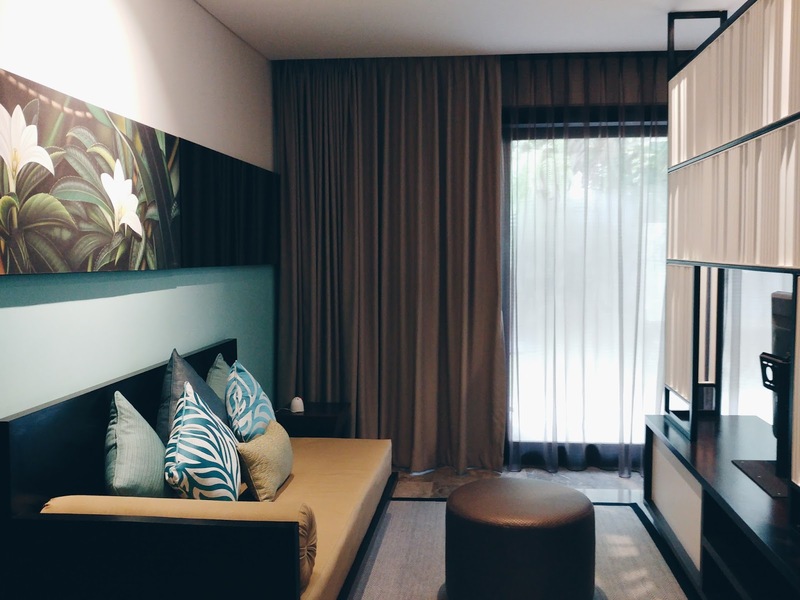 There are 48 suites available at Montigo Resorts, Seminyak and we were checked into the Executive Suite. The executive suites came with an outdoor patio where you can enjoy an in-suite BBQ (!!!) while the junior suites, located on the upper level came with a balcony. 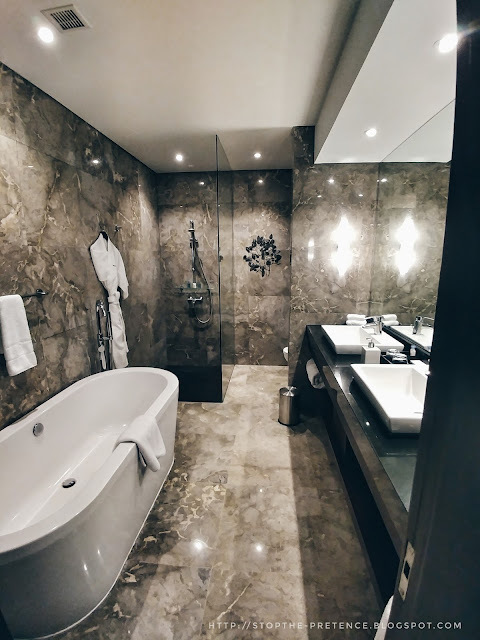 Nothing can make you visualize the suite we were checked into better than pictures and a room tour, right? So here you go!!! As I am sharing the photos here, I got reminded of the SUPER SOFT BED there!!! OMGGGGGG. Prior to our arrival, I was already told that their beds are called "marshmallow beds" AND TRUE ENOUGH, IT IS REALLY VERY SOFT!!! You know the kind of soft where you sink into the bed comfortably and let your body temperature warm the surrounding bed sheets and blankets as you sink in and then you bury yourself inside and struggle to wake up, AT ANY POINT OF THE DAY. For us, we overslept both mornings HAHAHA I'm sure Salman, the marketing manager who was in charge of hosting us, could testify to us oversleeping and seeing our just woke up face at breakfast everyday HAHAHA. Besides the bed which I mega loved, I loved their bathroom as well. Spacious, clean and the walls were marbled. Very classy and cozy to me at the same time. There were also 2 basins so there was no need to fight to brush your teeth and wash your face in the morning haha. 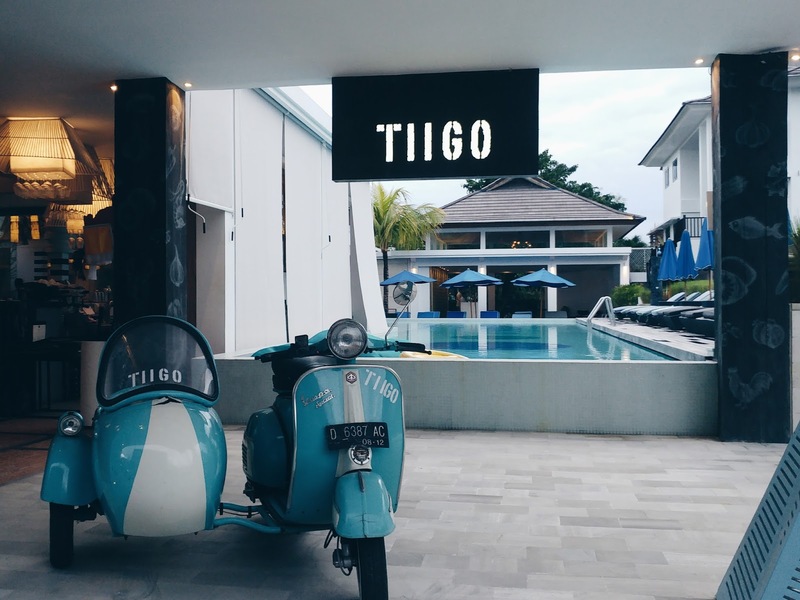 Another thing to marvel at Montigo Resorts, Seminyak is TIIGO, their restaurant! 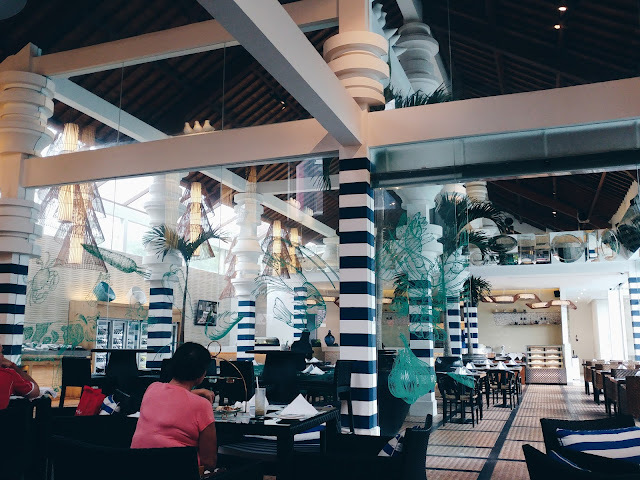 The restaurant is open to public as well and boasts a wide selection of mouth watering dishes. Bali is all about affordable indulgence, right? hehe. Clearly trying to conquer my fear k... Can't swim so it was sad that I couldn't go for open water activities and stuff. And previously we already did 2 hikes in 2 nights so... time for some fun!!! Thankfully the weather cleared up on the second day afternoon so we could enjoy the rides at Waterbom! Really thankful to Salman and the Montigo Resorts, Seminyak team for arranging this for us (: (And of course Waterbom Bali for the great hospitality!!!) Okay initially I chose something more chill like parasailing, flying fish ride and donut ride HAHAHA. But Salman wanted us to enjoy something more exclusive to Bali, and he suggested bringing us to Waterbom instead! Initially my heart was freaking out like a chicken ok. I can't do these water theme parks for nuts HAHAHA. H on the other hand was calm and excited HAHA. Full experience at Waterbom Bali will be up soon too!! 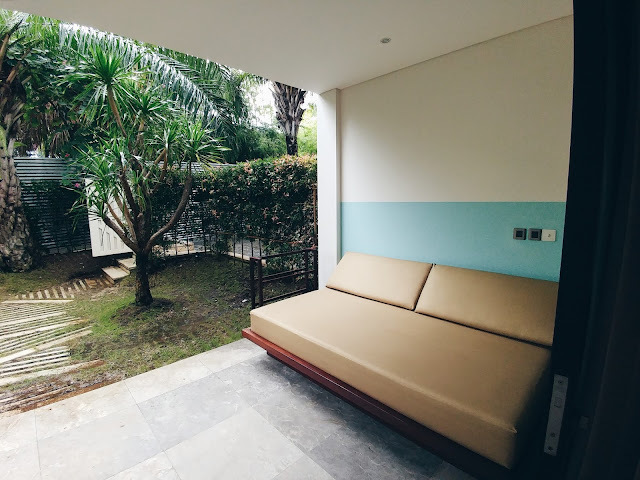 As I am reaching the end of this post, and also the part where I promised you guys a discount code at the end, I just wanna say that I am so thankful to be able to be hosted at Montigo Resorts, Seminyak for a 2 night stay! Although not all the facilities are fully up, I didn't feel as "disturbed" by ongoing constructions as I thought I would be... due to some reviews I read prior to going there. Guess I went at a time (end June 2016) when the main bulk of construction is already done, so what they're working on is more on finishing touches and the interior works. Really, really can't wait for everything to be up and running! Also, don't worry about having to stay in an "incomplete" resort because the rooms, swimming pool and TIIGO are up and running in full operation smoothly. Service and quality is also definitely not compromised! 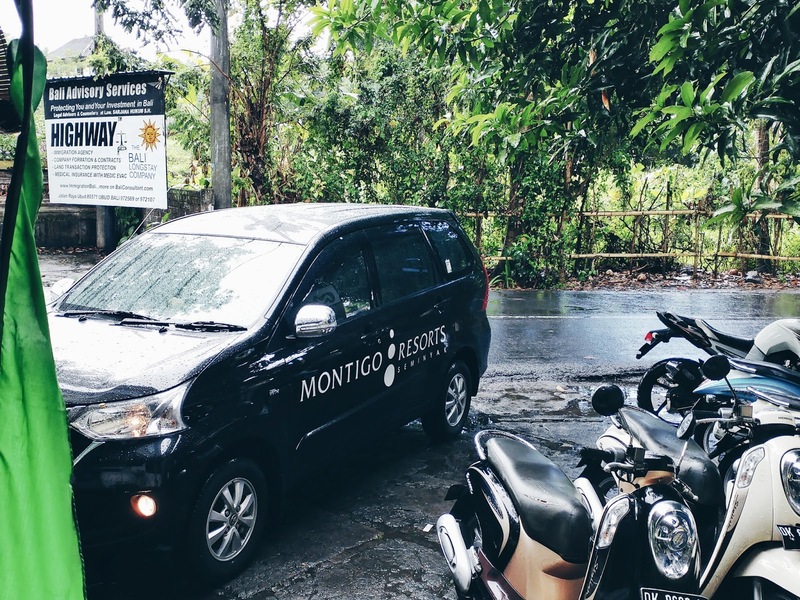 The service that we've received at Montigo Resorts, Seminyak has been nothing but impeccable. And I know some of you might say, "you're sponsored to stay there that's why you get the best service what". Of course, I don't deny that we receive some "bonus" services but I didn't blog about them here (although it has been briefly documented on my dayre. My recount above will most likely, I am certain of that, be what you guys will receive too when you guys stay there! - Resort credit is non-transferrable, nett and inclusive of service charge and taxes. 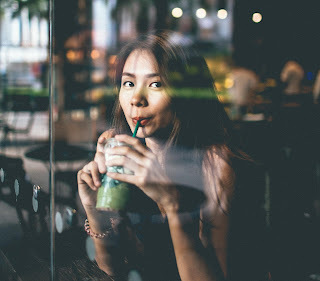 - The respective credit amounts may be used to offset against spend on Food & Beverage, resort transportation and resort activities or miscellaneous expenses consumed at the resort during period of stay. 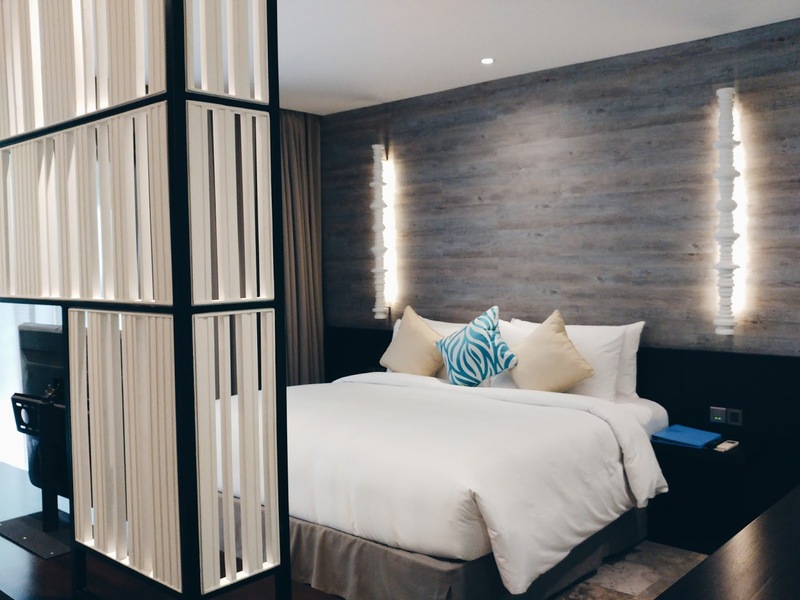 - Any balance resort credit not utilized during period of stay may not be exchanged for cash, applied during another period of stay nor redeemed against room charges or applicable service charge and taxes.